Peugeot hopes to show off its vision of the future, with the reveal of the Instinct. Unveiled in Spain and on display at the Mobile World Congress in Barcelona, the Instinct concept is powered by a PHEV powertrain and features both ‘drive’ and ‘autonomous’ modes, allowing the driver the choice between fun and convenience. This isn’t the only intelligent technology featured in the car though, with the inclusion of the Samsung Artik Cloud. This can sync with the user’s other devices enabling the car to learn more about its user’s lifestyle to preconfigure setting such as driving mode, interface settings, ambient lighting and more. With this in mind, the Instinct promises to live up to its name and adapt to match certain behaviours. This means it can read data from a smartwatch and configure its settings to give the driver a relaxing ride home after a trip to the gym or, through the synchronisation of the driver’s diary and the vehicle navigation system, prompt you to set off early for an appointment to allow for the traffic and weather conditions. 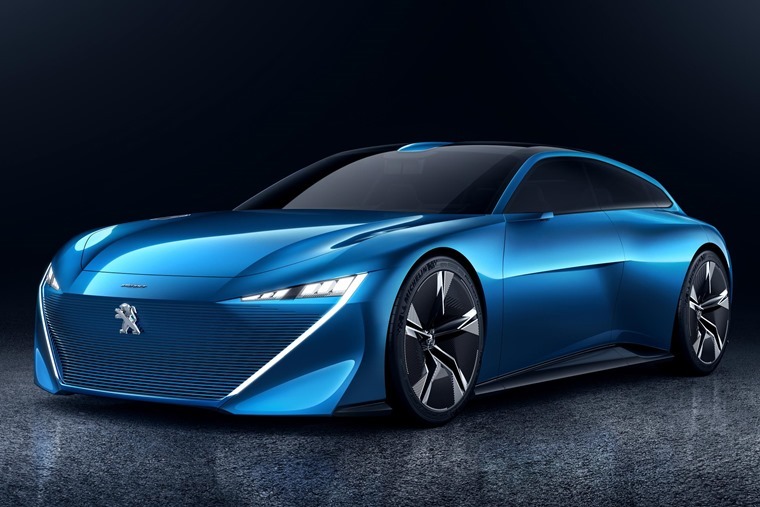 David Peel, Managing Director at Peugeot UK commented: “The autonomous future is happening now, and Peugeot Instinct demonstrates how this can still be driven by a passion for brilliant design and driving pleasure. When it comes to the design of the vehicle, car is sculpted for maximum fuel efficiency but also to catch the eye. The ultra-slim headlights are framed by strong angled vertical lines, and include cameras in each LED headlamp to enable the car to scan the road ahead and communicate with the driving assistance systems. Step inside and the Instinct offers a highly tactile, adaptable cabin, which switches from being a focused driving environment to a comfortable lounge space, reacting when switching between ‘drive’ and ‘autonomous’ modes to create the most suitable environment according to how the car is being used. When in ‘autonomous’ mode, the compact steering wheel and toggle switch panel fold into the dashboard and the accelerator pedal folds back into the pedal unit to maximise space. Don’t worry if you feel the need to be in control at all times though – in both modes, the driver will retain control over the vehicle via the i-Device, which sits next to the 9.7” screen in the centre console. This will enable the driver to switch between modes so they can take action when needed, whether that’s overtaking the car in front or pulling over in an emergency. 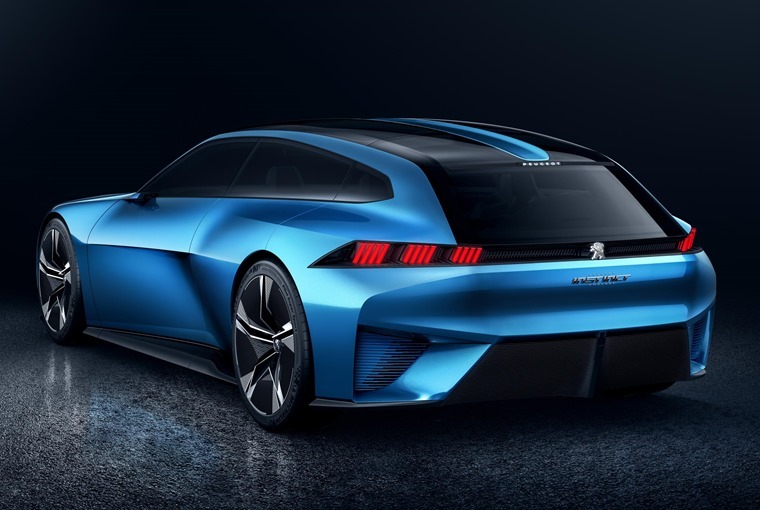 Commenting on the concept, Matthias Hossann, head of Peugeot concept cars, said: “With the Peugeot Instinct concept and its responsive i-Cockpit, we are building on the factors that have made the brand’s latest models so successful.